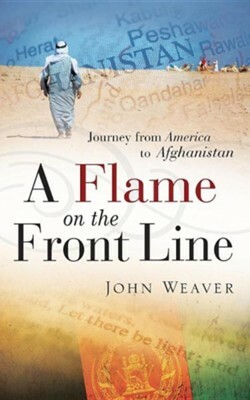 Since 2000, John Weaver has been A Flame on the Front Line sharing God's love in Afghanistan. He serves as a Team Leader for Shelter Now, which has been helping Afghans for over 25 years. John is the happy husband of Jeanne, whom he met and married in Afghanistan. "I saw John Weaver for the first time in October 2001 on ABC World News Tonight with Peter Jennings. When John's face appeared on the screen, I knew there was something special about him. I could see it in his eyes, his smile, and his interaction with the Afghan people." - Franklin Graham, President of the Billy Graham Evangelistic Association and Samaritan's Purse. Journey from America to Afghanistan is an invitation to step into an incredible adventure led by the Sovereign King. The voyage features views of earthly struggles and saving grace; painful experiences and purposeful excursions; disappointing failures and dreams fulfilled. It also explores aspects of life in the Islamic Republic of Afghanistan. This inspiring story is both enjoyable and unforgettable. Join us inside... John and Jeanne Weaver, with their three sons, live and work as a family of flames. You can contact them at hope4afg@dxpost.com. Proceeds from this book support the work of Shelter Now Afghanistan. I'm the author/artist and I want to review A Flame on the Front Line.